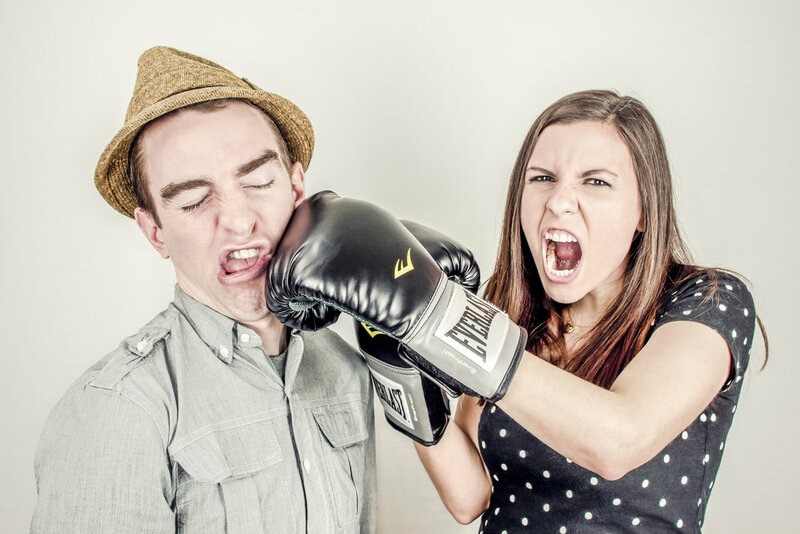 Here are few things you need to know about how anger affects our relationships. It is amazing how many of us walk around angry. For some, it is difficult to remember what we are even angry about. For others, we know but we don't know what to do about it. We are truth-tellers here and there is something you need to know about anger. Unresolved anger will eventually eat away at every relationship you have. Run from it, and the cycle will only continue. So let's go in, straight to the heart of this unpopular subject, and see how to keep anger from sabotaging our relationships! I don't mean to disappoint you, but you don't hide your anger as well as you think. Even if you pretend like you aren't angry, it sneaks out in other ways. Sometimes it is disguised as sarcasm, anxiety, depression, self-righteousness, even eating disorders or addiction. I'm not judging you, believe me! I've been there. So I totally get it. I just care about you enough to save you another moment of walking around as a victim of a secondary emotion rather than calling it out and learning how to identify what is fueling it. I'm sharing with you today some things your friends and family might not tell you. And it's insight that took Scott and I decades to learn. May the next few paragraphs save you years of pain and broken relationships. If you are angry there is always, always another emotion underneath - maybe many emotions. Fear, disappointment, regret, loss, jealousy, shame, disillusionment, trauma, guilt (real or false), or a hundred other sadnesses might be down below anger. For some reason it's tempting to redirect painful, vulnerable feelings into a more "powerful" one like anger. But as long as those underlying feelings are unidentified the fire inside you rages on, fueled by all the things you'd rather not feel. And the bummer is... those underlying emotions aren't going anywhere until they are named and properly acknowledged. Avoiding unpleasant feelings is understandable! Why wouldn't we avoid them? Maybe start by acknowledging how much more destructive our feelings become when we explode. And the funny thing is, exploding doesn't make all those underlying feelings go away, but often creates more damage. The only way we were able to tackle our anger was to understand the source and find constructive ways of expressing the things that were fueling it. This might seem really daunting to you. I won't lie, this is work. But it's good work. Diffusing our anger so we can have productive conversations will prove far more helpful than stuffing feelings down and letting anger stick around as an imposter for our deepest hurts and fears. 1. Identify the feelings underneath your anger. When you get rip-roaring mad at someone, ask yourself some deeper questions like: What you are afraid of? What feeling is underneath your reaction? Who does feeling this remind you of? What pain is being unearthed by this situation? Is it really the other person's fault that you feel this way? Be courageous as you discover what is underneath your reaction. 2. Face the things you've been avoiding. You don't have to live with this unpleasant emotion forever if you let yourself experience it for what it is. Avoid it, and it will haunt you. Feel it, acknowledge it, then let yourself move forward. 3. Weigh the cost of harboring these feelings and how they might affect your relationships. These feelings you've unearthed don't have to isolate you forever. Life is too short and relationships are too valuable to keep punishing yourself and others. You definitely have every right to feel the way you do, but hanging onto the pain is hurting you and others more than you know. If you want thriving, life-giving relationships, it's just not worth hanging onto anger and all that comes with it. Anger isn't your friend, but you have actual friends who love you and want to see you live in freedom. 4. Set yourself free and forgive. Forgiveness means making the willful decision not to punish yourself or others for the way you feel. Maybe you're mad at someone in your past, maybe you are angry with yourself for choices that brought consequences you regret, or maybe you're mad at God for not stopping something that brought you anguish. Or all of the above?! Once you identify who are you really mad at and why, it is time to lay down your weapons. It's time to acknowledge the object of your fury and free yourself from having to pay them back for the pain you've felt. You may find it helpful to write a letter or journal entry detailing the people or situations that hurt you and how they made you feel so you can get it out. Whether you actually send letters to those people or not is up to you, the important thing is that you express the underlying feelings that have held you hostage. Let yourself go there. Once it is all out, be mindful that the person or people who have hurt you are imperfect humans, just like you. They are just as worthy of forgiveness as you are. You may never feel warm and fuzzy about the source of your pain, but this is about making the choice to value the present and future more than the past. It's about moving to a new place of sanity for your own sake and the sake of everyone who cares about you. It's about getting a fresh start and learning anew to deal with your feelings proactively without getting weighed down by this old pain over and over again. This quote is available as a high resolution 8" x 10" printable. Click here to download. 5. Choose a new response. You may be convinced that you don't have any control over how you respond to your triggers. But the truth is, you absolutely have a choice. Rather than letting old habits put you into "default mode," allow yourself to respond proactively to frustrating circumstances rather than reacting. This will mean taking a moment to think differently. Breathe. Remember the person you want to be - the real, wonderful you, apart from the anger. Separate your personal identity from the negative feelings that so quickly come to the surface. Choose a response that is focused on the situation rather than on attacking the person for making you feel something unpleasant. Allow yourself the freedom to accept disappointments, hurts and pain as part of life on a broken planet rather than a personal assault on you. Anger plays an important role in our lives. It warns us when something isn't right. So listen to your heart's cry when you feel angry. It is trying to tell you something. But let it do its job without becoming a permanent resident inside you. Anger feels powerful. But forgiveness is authentically powerful. It is important that we know this. I am living proof. If you want to discuss this more, please hit up the Love Better Facebook Group and let's keep this conversation going.